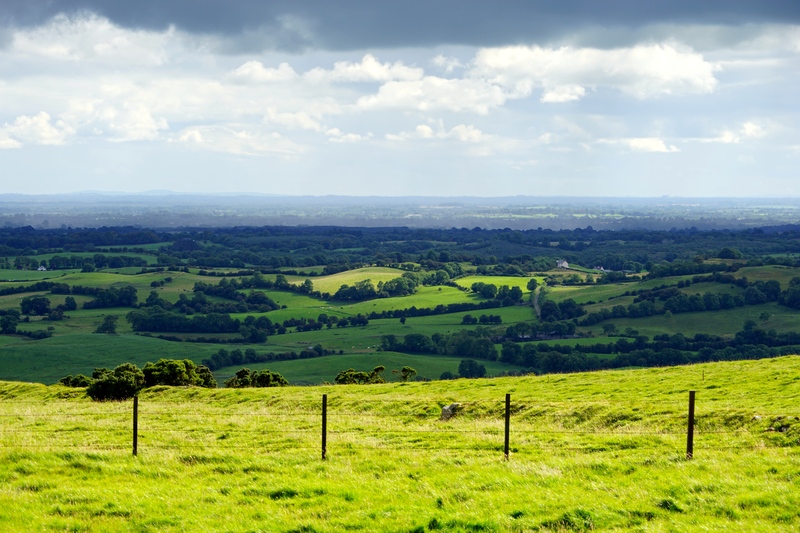 Ahh Ireland, how very long I had waited to visit! We woke early and headed to the ferry, and fortunately had a very smooth sailing, other than the rowdy groups of Welsh rugby fans. The famous Mick and Noreen Hand, long time friends of Liam’s parents, were kind enough to put us up for the first night as all of Dublin was booked out for the rugby. We had a great evening with delicious home cooked food, Guinness, Irish whiskey and plenty of Irish music and laughs. 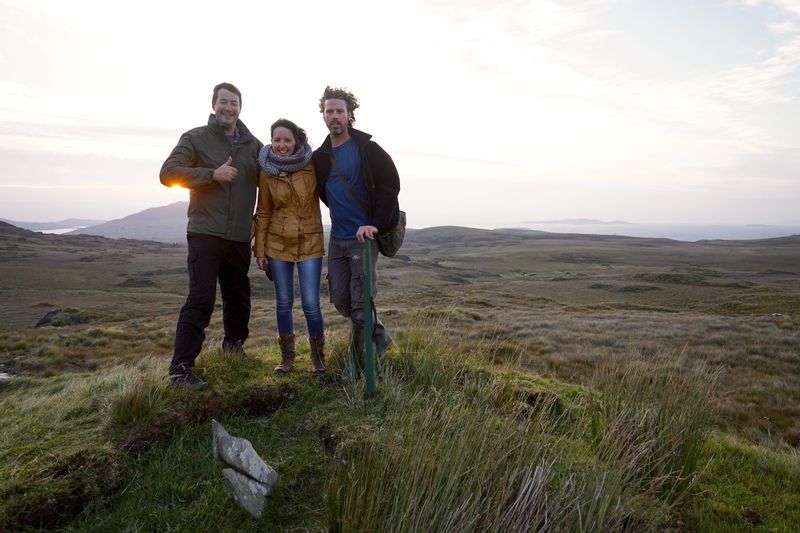 The next day we went to meet our friend Ben who had made an epic half way around the world journey via train just to see us in Dublin. Well, he didn’t travel from Thailand through Mongolia, Russia and across to Holyhead only to see us, but it was a happy meeting all the same. The three of us treated ourselves to a nice apartment for a couple of nights as we felt we deserved it after our hectic schedules. Ben was lucky enough to experience what Liam’s been living through everytime we go somewhere new, an overly excitable Jess wanting to look at everything and go everywhere all at once. 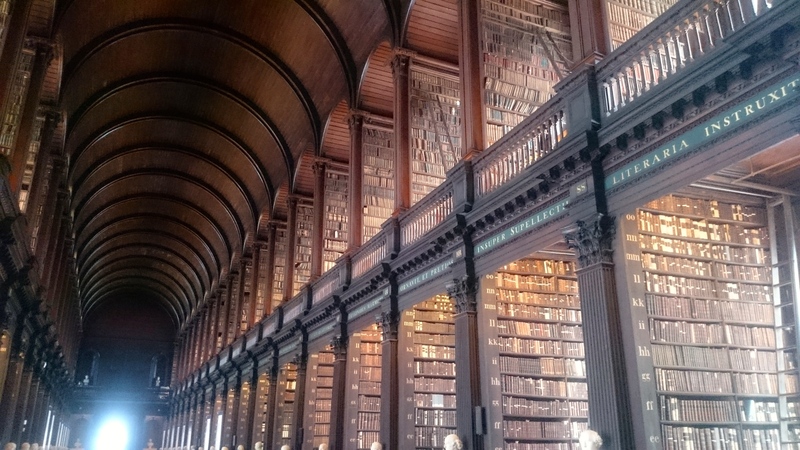 For so many years I had been looking forward to visiting Trinity College’s library and the Book of Kells, and often when you’ve been waiting for something for so long it can be disappointing. Happy to report this was not one of those times! We (especially me) thoroughly enjoyed exploring the college. 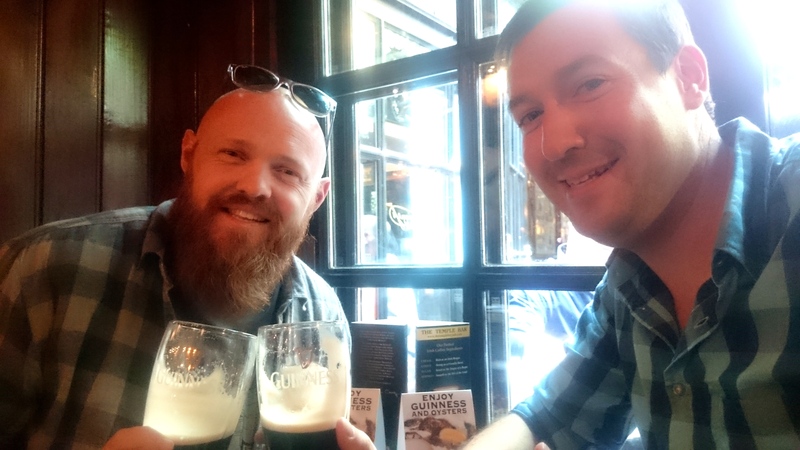 Liam and Ben went to many a pub, told many a story and drank many a Guinness whilst I explored St Patricks cathedral and the Temple Bar district. I think it was a great relief for Liam to change up the holiday style for a couple of days and have a drinking buddy! 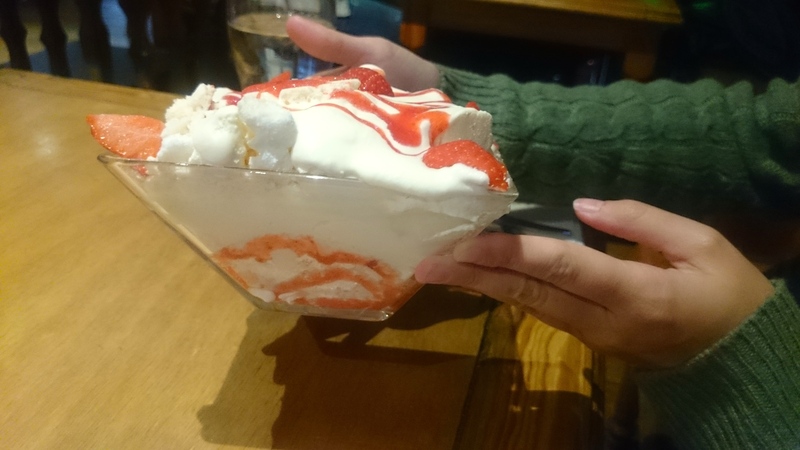 Special mention has to be given to the dinner at the Porterhouse bar which featured the largest eton mess the world has ever seen (thats not a fact, but it was delicious), excellent traditional music, exploding BBQ ribs and the biggest beer list we have ever seen. The lads liked the extravagant range of beers available and thoroughly enjoyed working their way through them. Another questionable highlight of our Dublin stay was the combination of Apache pizza and a home made jug cocktail made of Mongolian Vodka, cheap apple & pear cordial and a few teabags… Probably not one to try again in a hurry! All in all an interesting visit to Dublin and a great catch up with Ben. 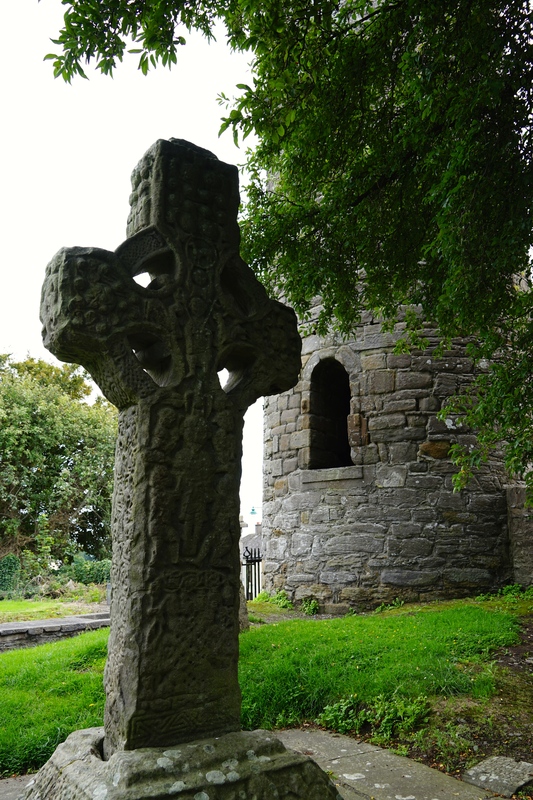 The next stop off was the town of Kells famous for it’s ancient towers and high crosses (pictured below) right in the centre of the community, it is one of the leading locations in Ireland for these ancient religious monuments. As captivating as they were the more memorable component of the visit was getting lunch at a cafe. The manager was fairly intense and took photos of us to put up on their Facebook “wall of fame” because we were Australian, she got stroppy with us because we weren’t on our phones liking her page immediately and then got super pushy about us doing a Trip Advisor review, prompting us to make the decision to do no reviews in Ireland as everyone in the B&Bs was way to obsessed with their reviews. 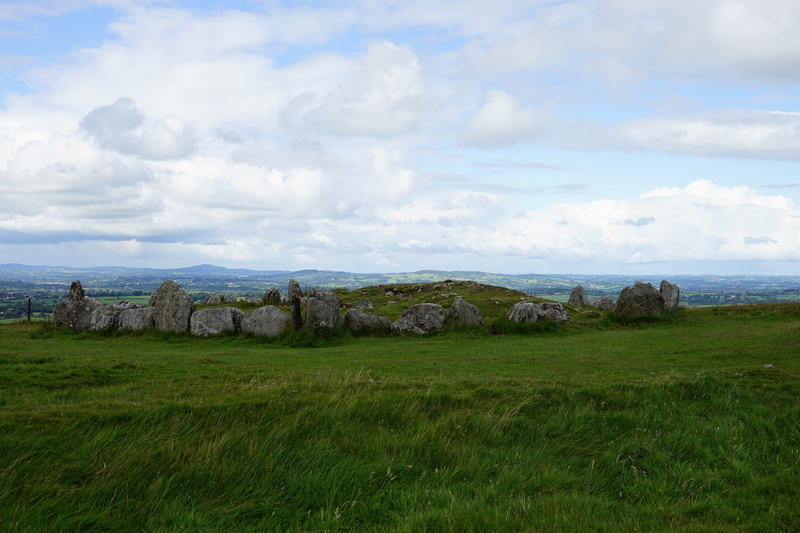 We were lucky enough to get a break in the clouds in the afternoon and took advantage of the dry spell to explore Loughcrew Cairns. 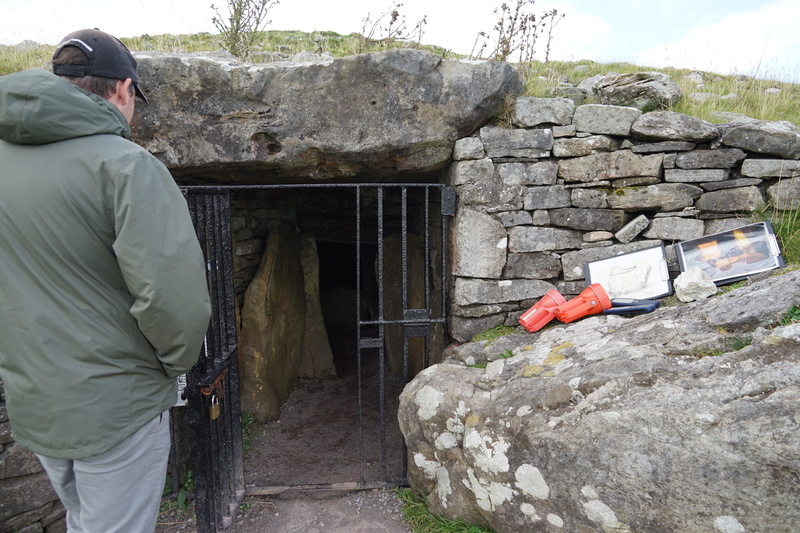 This was a self led exploration with the information folders and torches left outside the chamber for whichever tourists were brave enough to climb the hill and then venture into the darkness of the tomb. 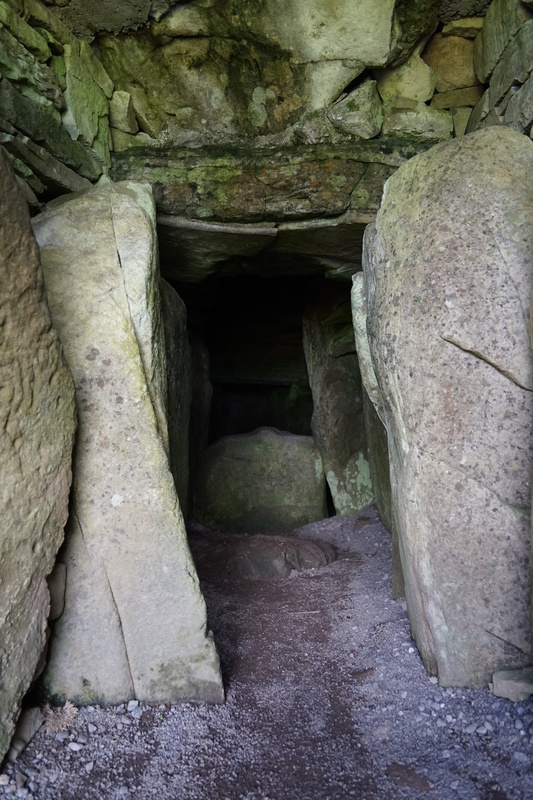 We grabbed our torches and headed into the passage tomb to check it out, it was a bit claustrophobic but well worth it to get a close up look at the internals of the structure and the neolithic rock art. As you can see in the picture below the view from the hill top was again magnificent and you could see for miles in every direction. 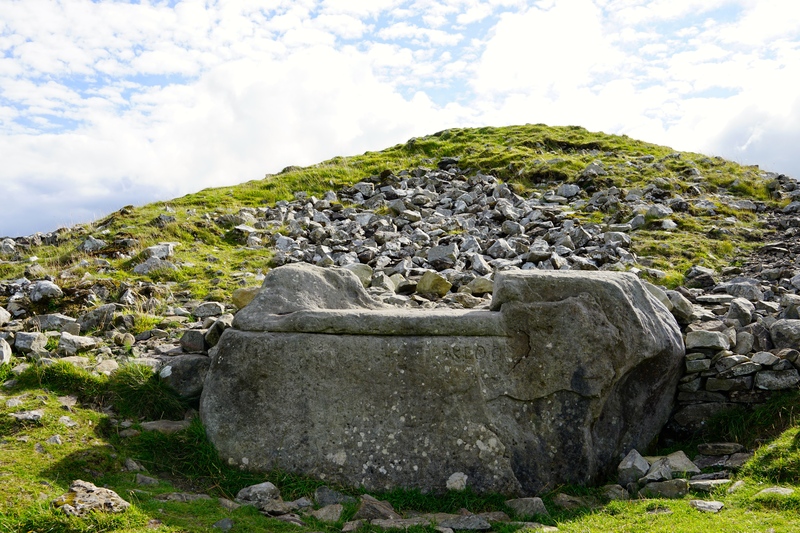 As well as the main tomb there were a variety of other partially excavated tombs, rock formations and the hags chair… A giant slab of rock carved out into a giant rock throne hundreds of years ago as a tribute to a mythological hag who once preyed on the village folk of this region. The next morning we headed off for more neolithic hyjincks at Newgrange and Knowth, we were under the impression that we were both super suave and charming after being waved through without paying, we were feeling really pleased with ourselves and quite special until we realised that Wednesday is actually a free entrance day, not as special but still a few quid better off! 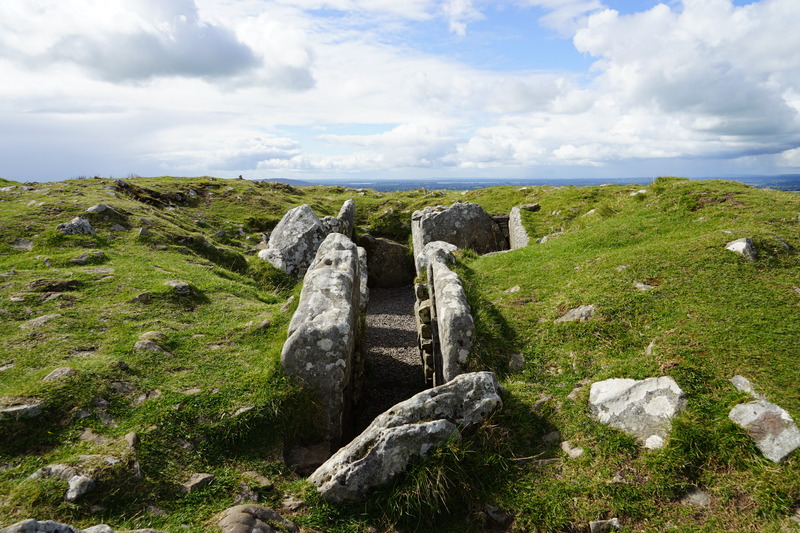 The passage tombs get so many visitors each day they have a shuttle bus service and guided tours as the only way to enter. 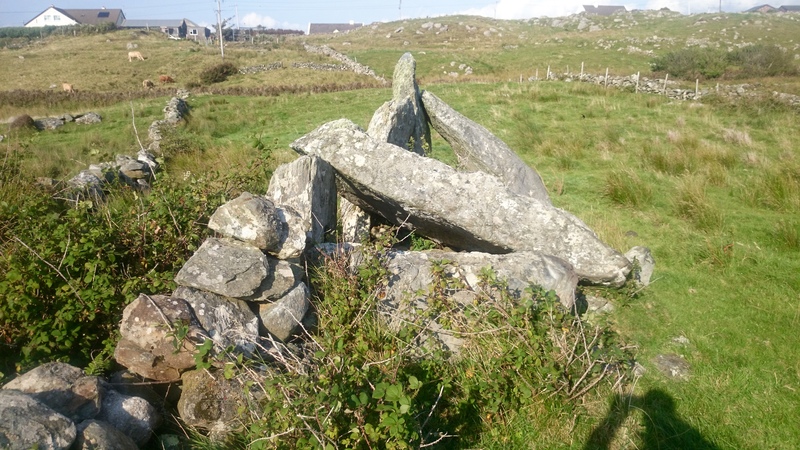 It does take away from the ancient sites somewhat as you charge around them in a group of 40 with your guide, however it has ensured that the sites are exceptionally well preserved so fair play. 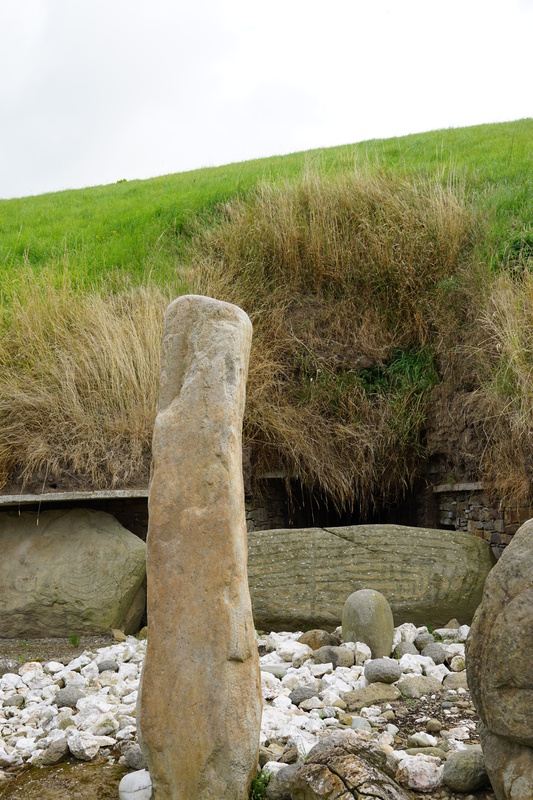 The Knowth site is at least 4000 years old and home to over a third of all Neolithic art discovered in Western Europe, the site consisted of one main passage tomb mound and a couple of satellite tombs and mounds. 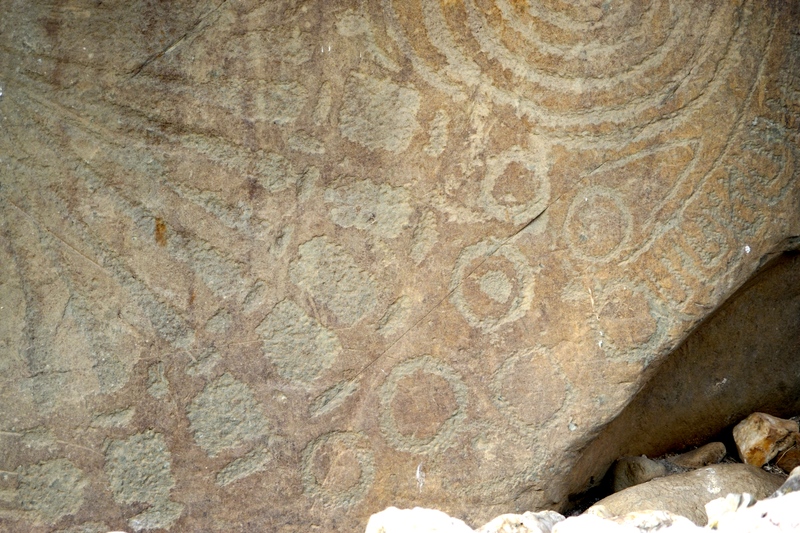 At this site it is not possible to enter the tomb as it is unsafe however some of the rock paintings were incredible, consisting of complex solar and lunar calendars as well as the standard spirals and squiggly lines. 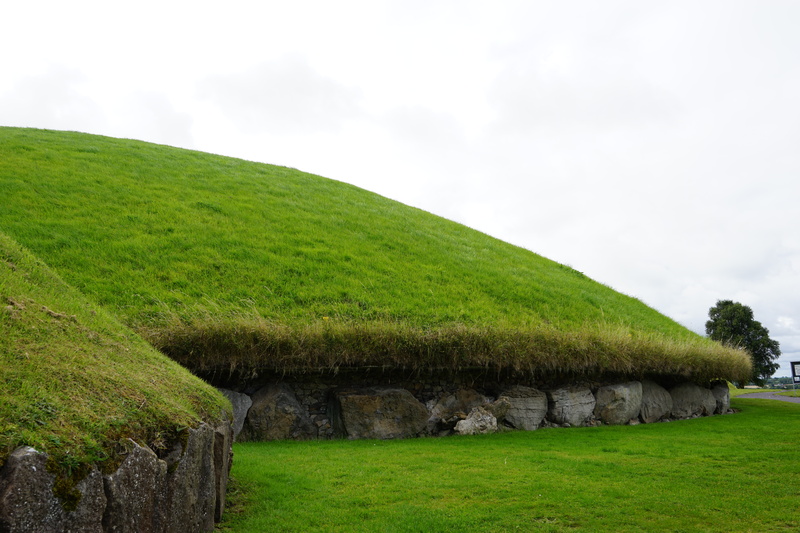 After Knowth we headed over to Newgrange, the most famous site in the region – probably referred to as the tourist mound by locals. That being said it is one of the most impressive sites that we have visited so far on the trip. 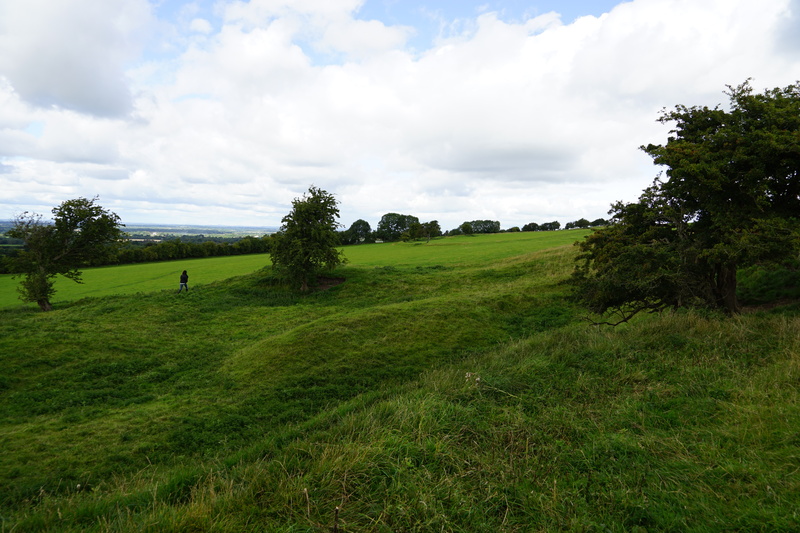 The mound is 75 metres across and over 12 metres high, covering almost five thousand square metres – it is over 4500 years old, making it older than both the Great Pyramids and Stonehenge. 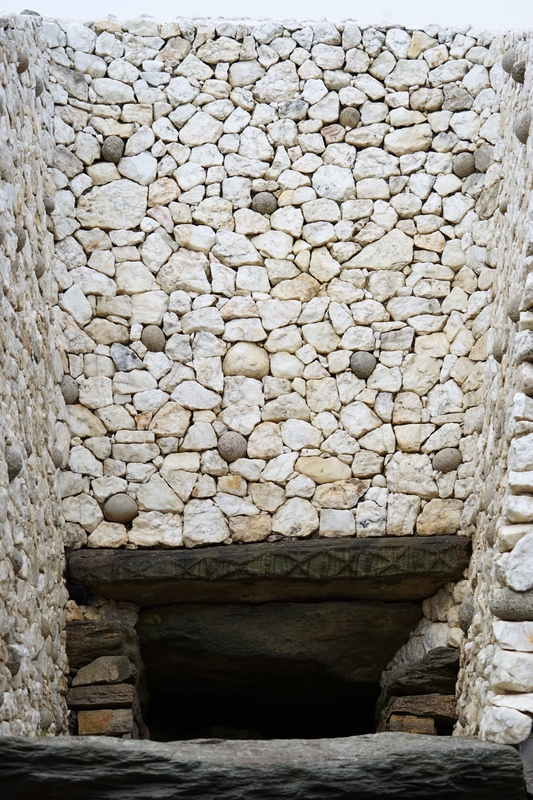 The main feature of the tomb is the nineteen metre long main passage that heads straight in to the tomb and climbs above ground level opening into a central chamber with room for approximately twenty people. 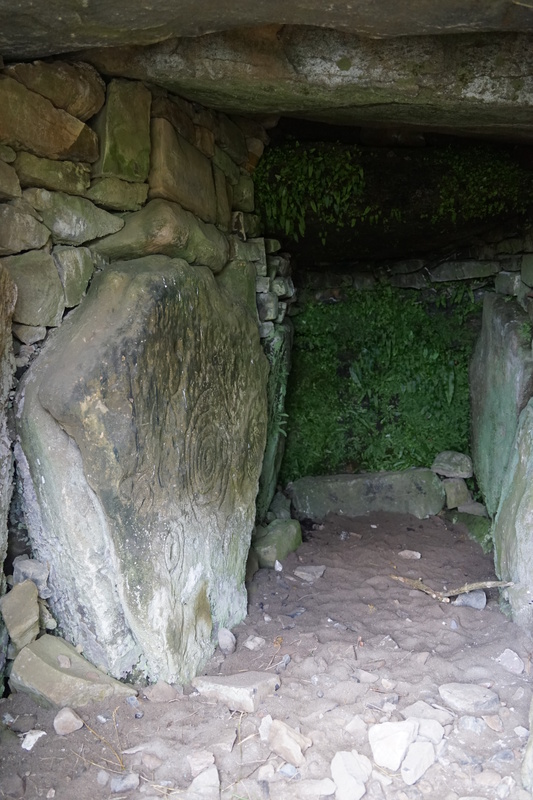 Once a year, during the Winter Solstice a beam of light from the sun shines down the chute you can see above the entrance and is captured in the central chamber striking a large stone altar. 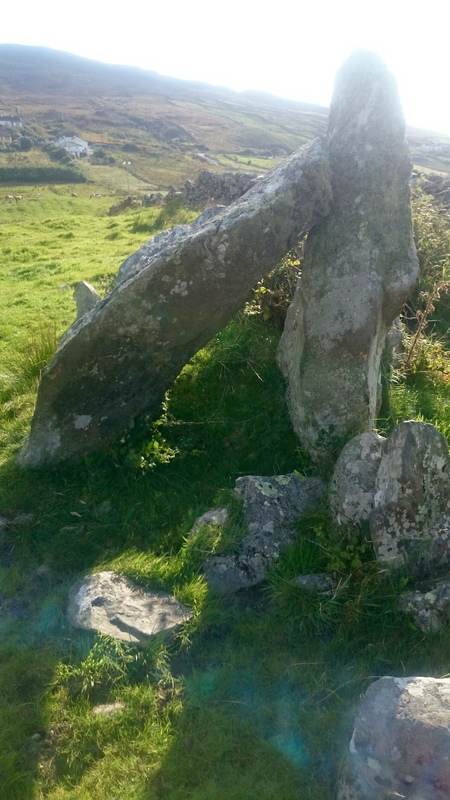 It is thought that this is the entire purpose of the structure and that it was built for a pagan ritual to capture the sun to ensure that the days begin to lengthen again. 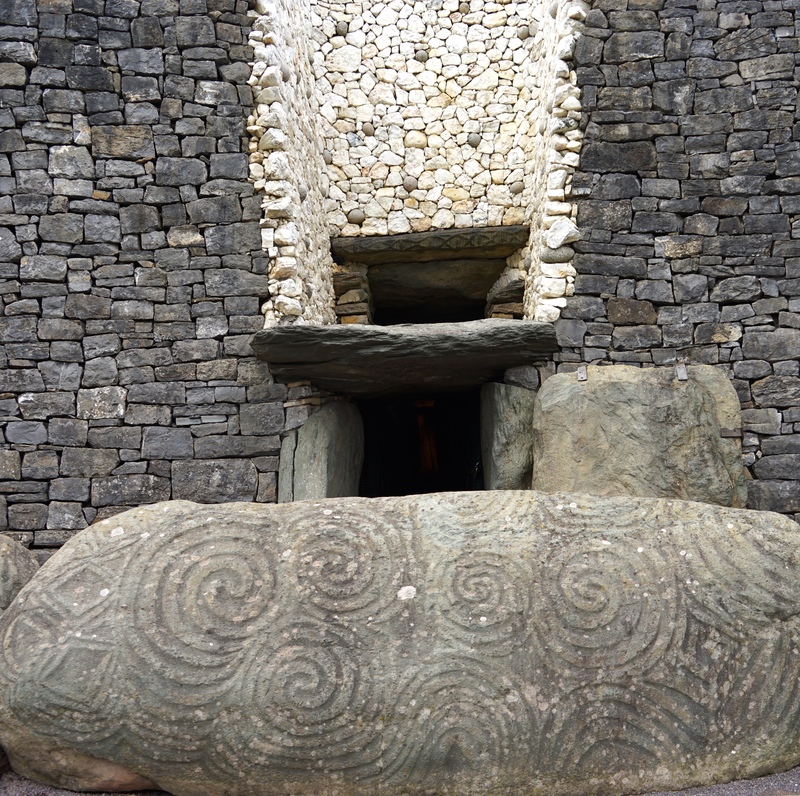 During our tour they simulate this with an artificial light which showcased the impressive building skills and astrological prowess of neolithic man, for a lucky few it is possible to experience the real thing, with a ballot held for ten visitors to experience the solstice in the tomb. 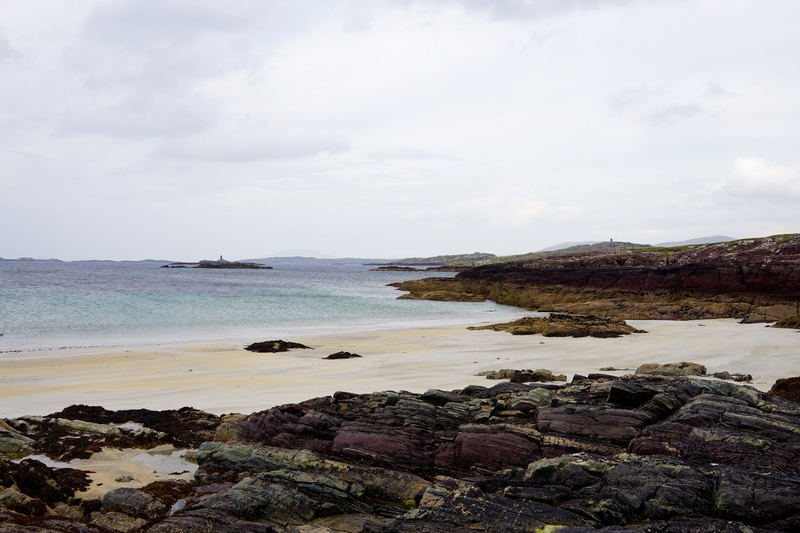 Hopefully it isn’t cloudy that day, our guide has seen it with clear sun twice in four years and said it is amazing, disappointing on the cloudy days for people who had travelled internationally to be there… Pretty big gamble considering Irish weather. 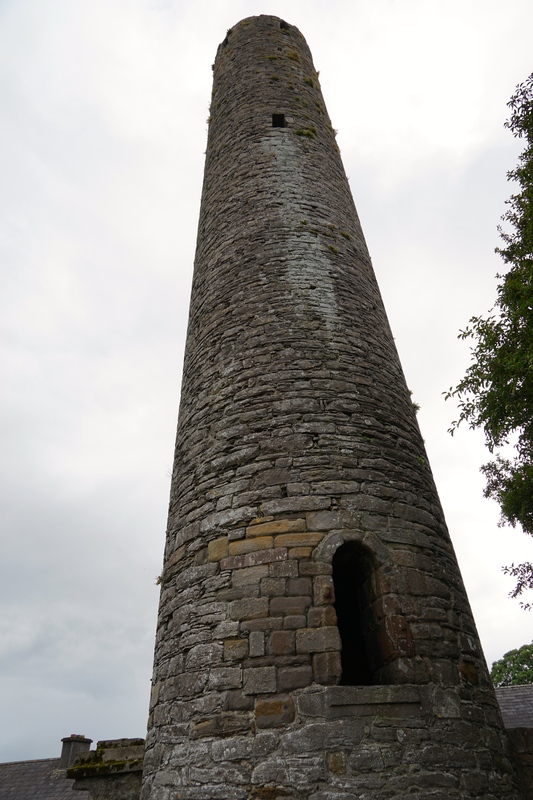 After the historical smorgasborg that was the Boyne Valley we headed into the Midlands and to the Cooley stronghold of Edenderry. From this one town alone the Flanagans have 13 cousins spread over a twenty year age range. 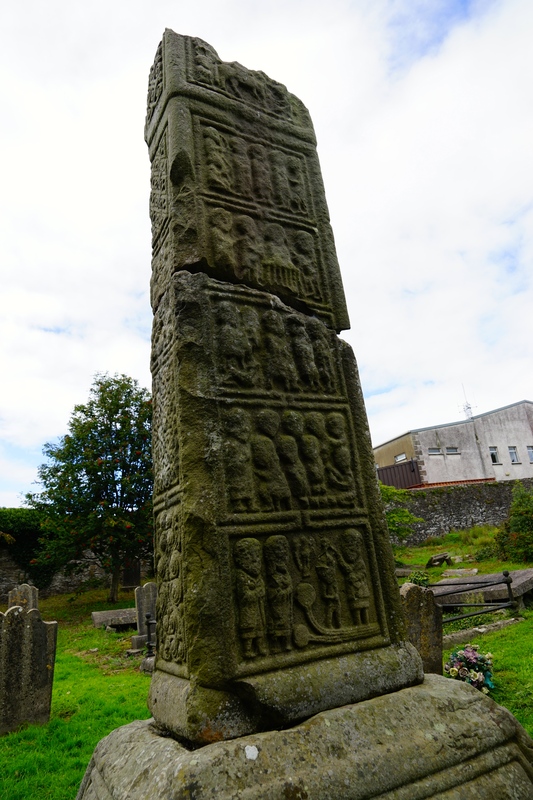 In our two days in Edenderry we managed to catch up with ten cousins, drinking copious amounts of tea and being shown amazing hospitality across the board. We stayed with Dolores who cooked us a great curry to reenergise after our tour of the family before we headed out on the town to start a wild night that ended back at Dolores’s with more than a couple empty bottles of wine at 3am. 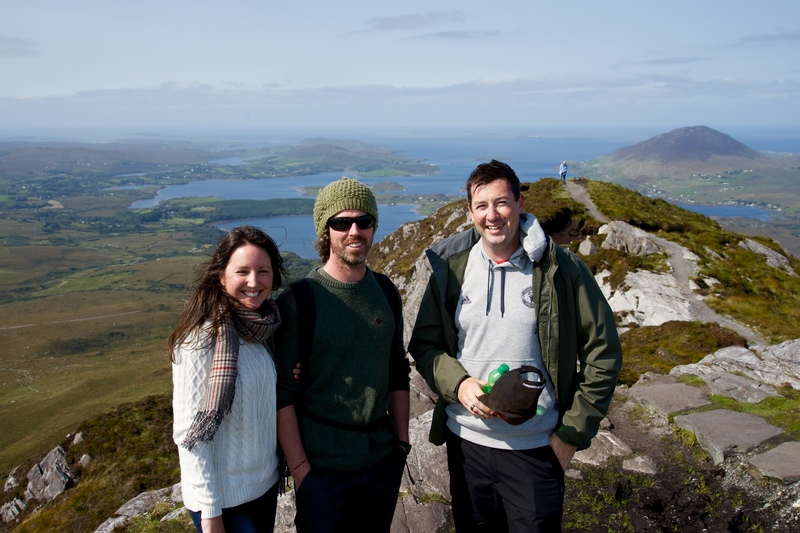 We had been warned to watch out for the wild Edenderry clan and they definitely lived up to the hype, it was a pity we didn’t have more time to catch up with everyone properly! Feeling a a little dusty after our nocturnal adventure we jumped in the car and headed for Connemara, referred to by one impartial resident as “the real Ireland”. Our hosts for the next few days were Shane and Irene, two good friends of the Flanagan family who we met fifteen years ago when Dad heard their accents on the Spirit of Tasmania and invited them to come and stay during their cycling adventure around Tassie in their early 20s, we have all stayed in touch ever since. 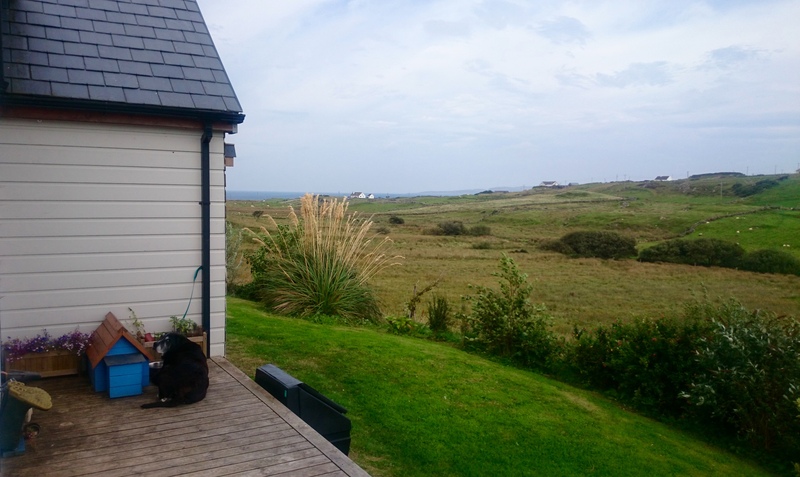 Their house out on the Renvyle Peninsular is stunning with views out over the Atlantic, it is all the more impressive considering that Shane built it himself along with a workshop and a recording studio (where the legendary Turf Song was recorded). 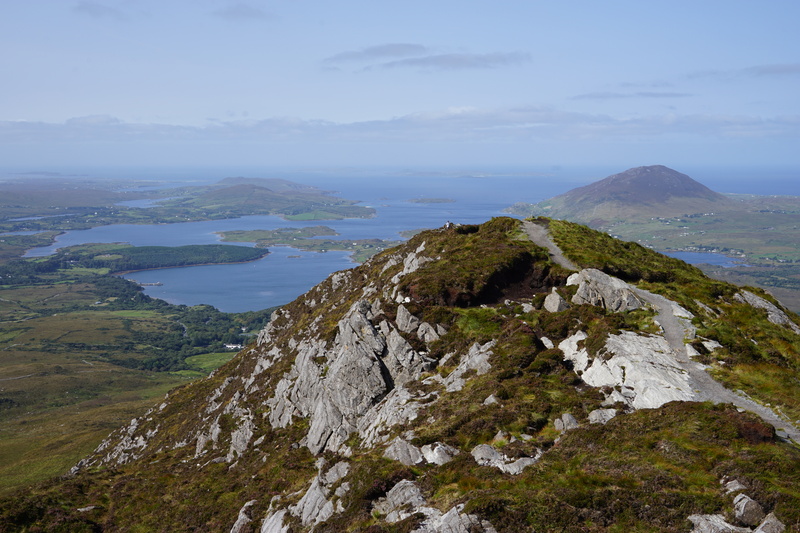 We started our tour of Connemara by climbing a mountain, namely “The Diamond” which at 1500ft towers over the peninsula. 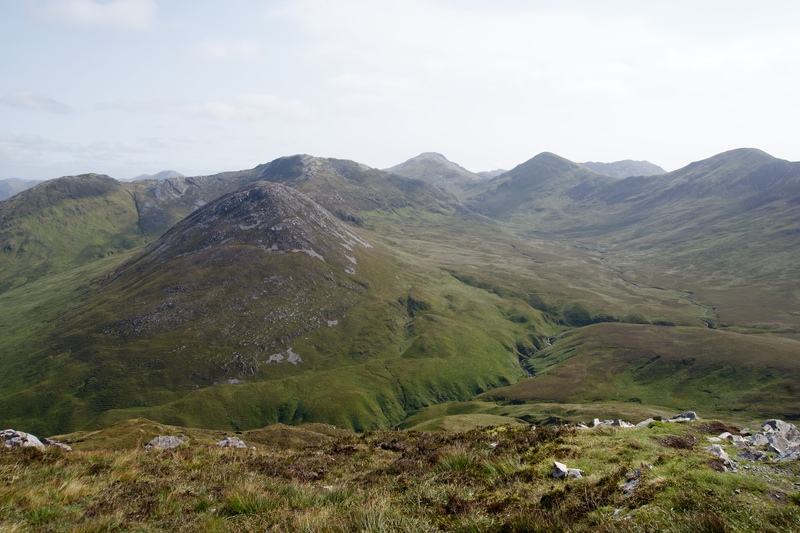 It was a great hike, more challenging than we perhaps expected on the ascent but once we got up onto the ridge and made it to the summit the spectacular views over the surrounding coastline and down to Kylemore Abbey were well worth the effort. After a quick photo shop we headed down the other side and headed to the Abbey for a carrot cake pitstop and some more touring. 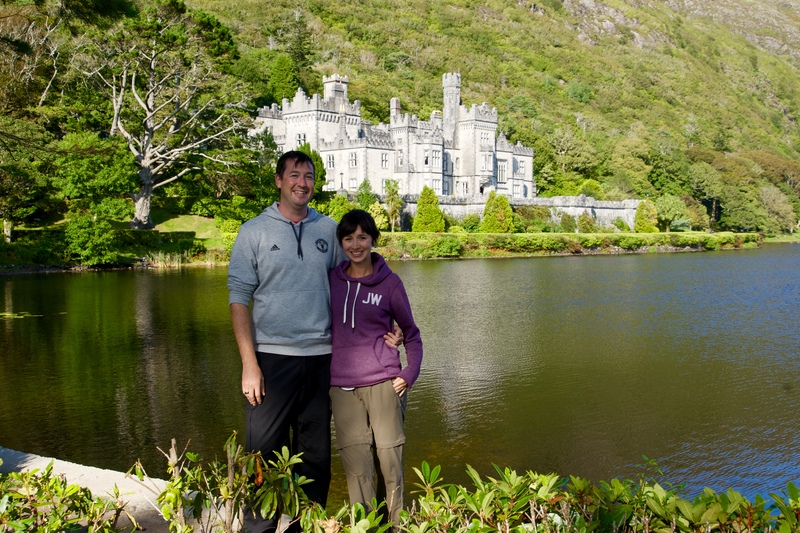 The best way of describing Kylemore Abbey is Hogwarts by the lake, the Abbey has been used as a prestigious school for centuries and is currently in partnership with Notre Dame college in the USA. Over the years it has hosted the children of British nobility as well as princesses from as far away as India whilst at the same time catering for a selection of local students. 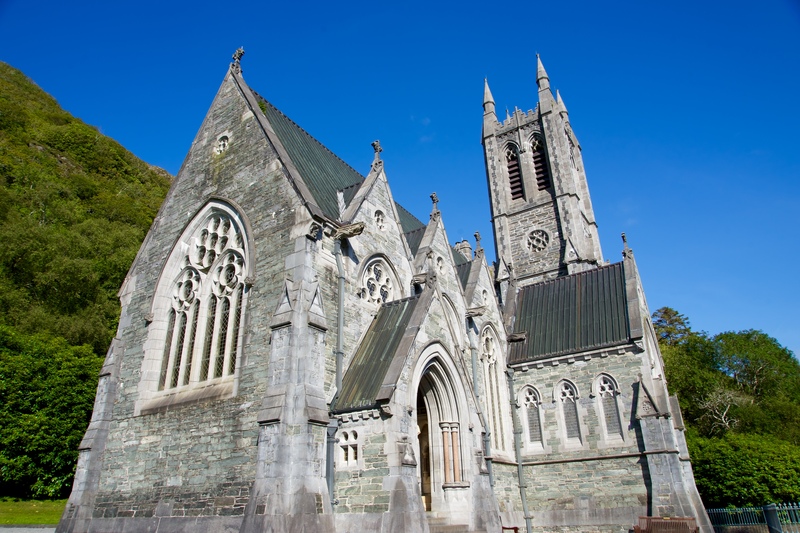 It was an amazing building and the location is stunning, very easy to see why it is one of irelands iconic destinations. The week after we visited the rains were so severe that almost everything you can see in the photos below was underwater, luckily our weather magic was still holding strong for our visit! 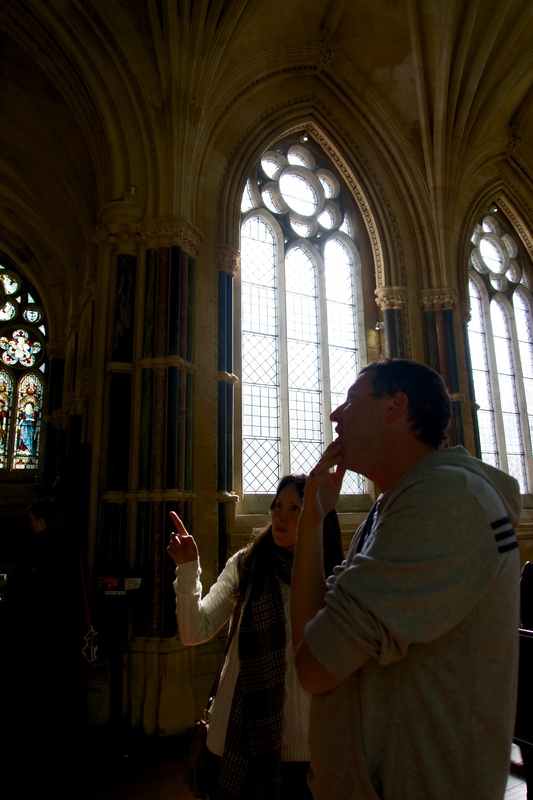 There is also church on the Abbey grounds which has pillars of marble in it imported from all over the world, you can see Irene and I marvelling at the neo-gothic architecture in the picture below while Shane enjoyed the sun outside. After the church we were taken on an impromptu “The Field” tour, taking in locations around the area that were used for filming in the classic Irish movie which was made in the area 25 years ago. 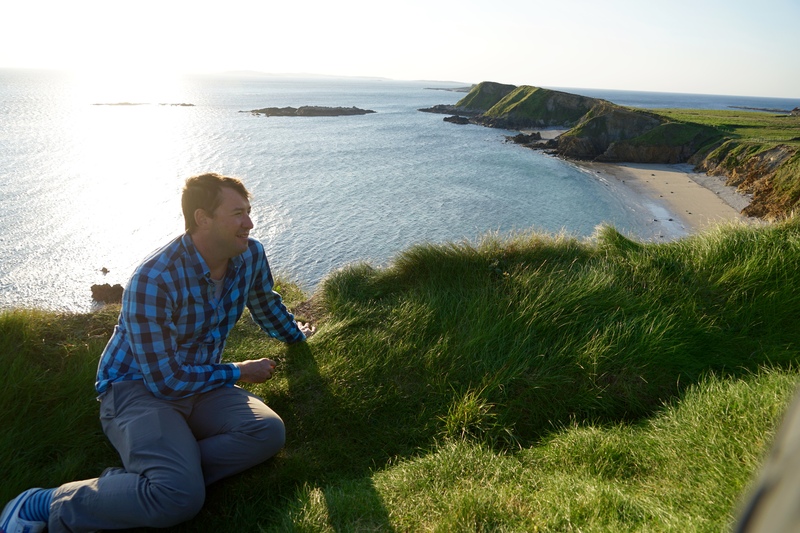 It was when we were admiring the falls that Shane was struck down with “Salmon fever” a condition that has haunted his fisherman family for generations, after spotting a salmon swimming upstream he was in a trance like state scanning the water for some time. 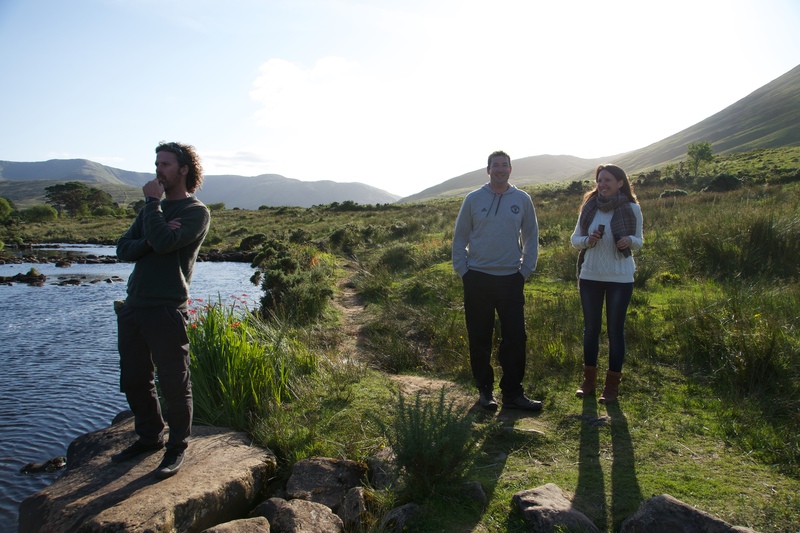 We decided to head into Galway City for a couple of days to give our hosts a bit of a break, on the way in we stopped off to meet Irene’s parents in Clifden. We had a great traditional lunch featuring Jimmy’s famous soda bread and Irene’s mum showed us some of the ancient coins and photos of the neolithic spearheads she had found in her back yard when gardening that are now at the museum. After a great catch up we parted company and headed into Galway City where we arrived just in time to watch Galway lose the All Ireland hurling championship, somewhat putting a downer on the entire city and our stay there as everybody was pretty deflated. 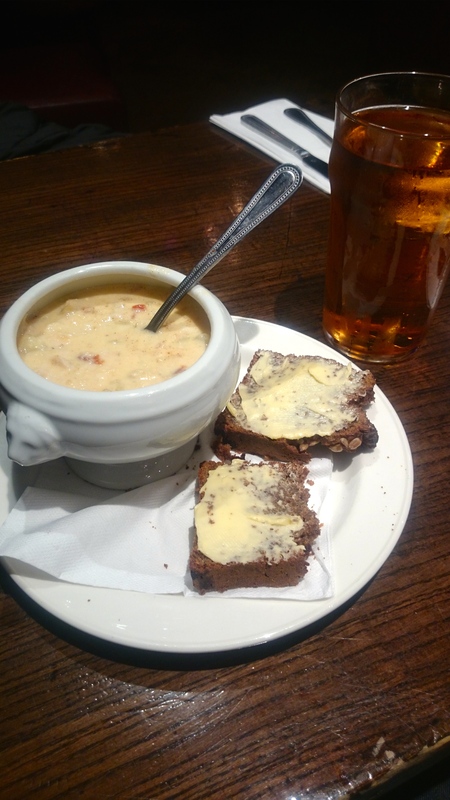 We mostly just chilled out for our time in the city, wandering around the latin quarter, introducing Jess to Supremacs and sampling the local seafood chowder and ciders. 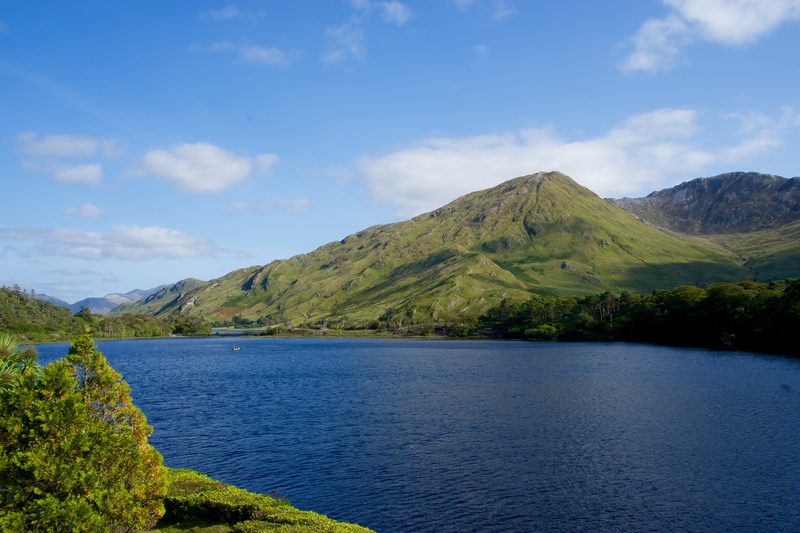 After our brief city break we headed back to Connemara for part two of our adventures with Shane and Irene. One of the reasons that we had come back up to the area was that Shane had organised it so that Jess could go into one of the local primary schools and meet the principal and one of the teachers as well as do a lesson about Australia and where we live in the Northern Territory with the students. Jess loved talking at the school and had a good time with the students and learned a lot about the differences about the Irish school which she was fairly impressed about. 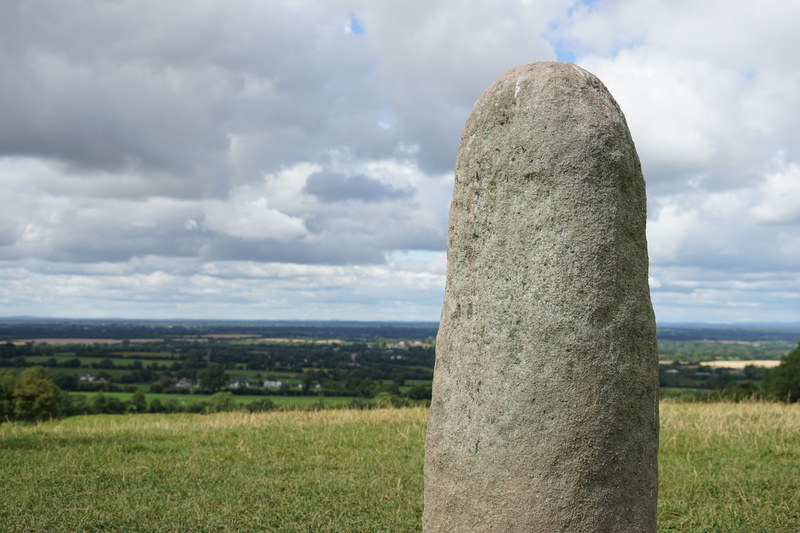 That afternoon when chatting with Shane we mentioned all of the neolithic sites we had been enjoying around the country, Shane in a fairly laid back fashion mentioned that there were heaps of them around the place and took us on a tour of the passage tombs and standing stones in some of the surrounding fields. 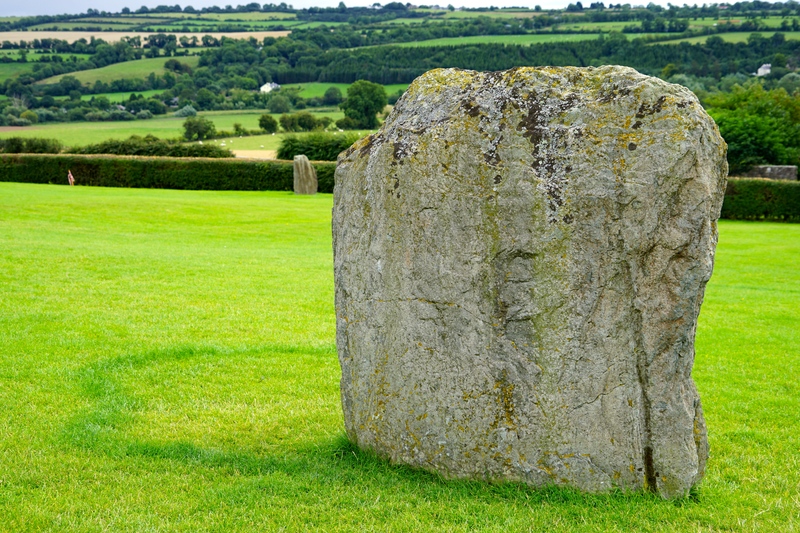 It was crazy for us coming from Australia to see archaeological sites sitting in fields having not been excavated and hearing stories of Shane and his family playing on standing stones and such as children. 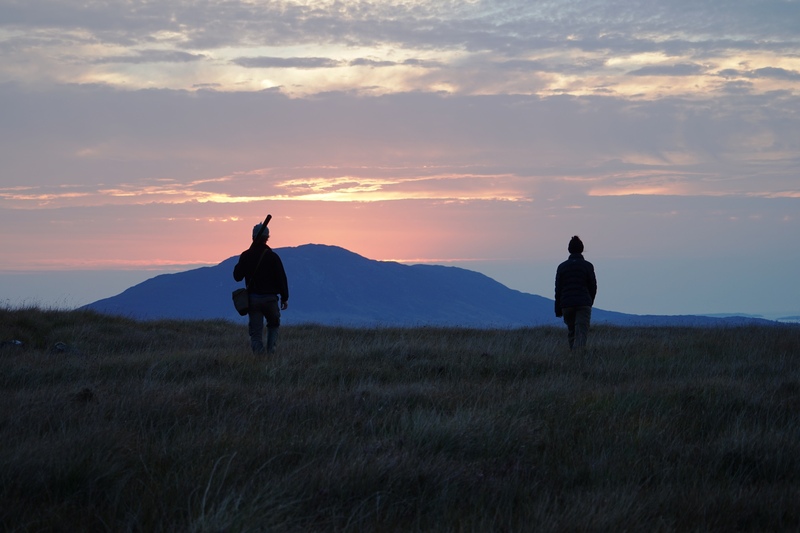 After our historical adventures and when Irene got back from work and joined us we set off through the bog, searching for the black lake on a fly fishing/hiking quest. Allegedly Shane had been to the Black Lake before and it only took twenty minutes to hike each way which was lucky as it was getting dark and we weren’t going to have much time for fishing. 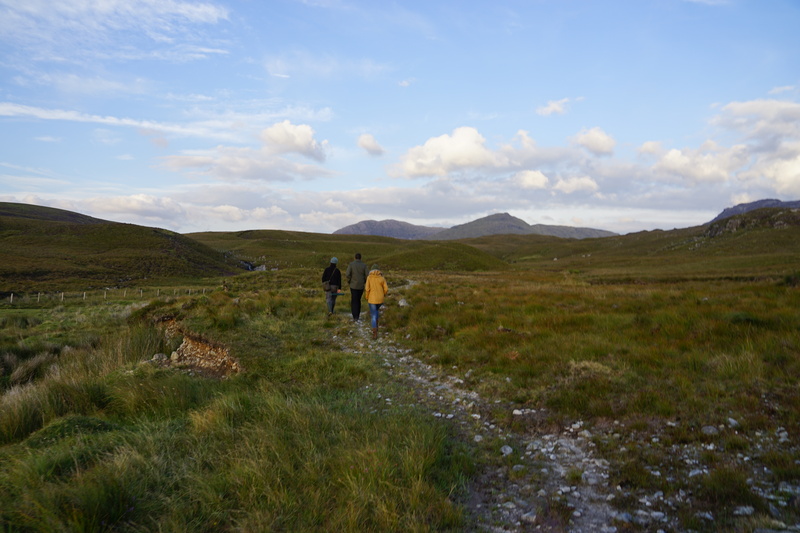 It was an epic walk up over the hills and through the bog in a landscape that is said by many to have inspired some of the locations written in Lord of the Rings. Unfortunately after several “it’s over the next ridge” moments and almost an hour of walking we were forced to concede that the Black Lake was further away than we thought and we weren’t going to make it this trip, straight onto the list for next time. 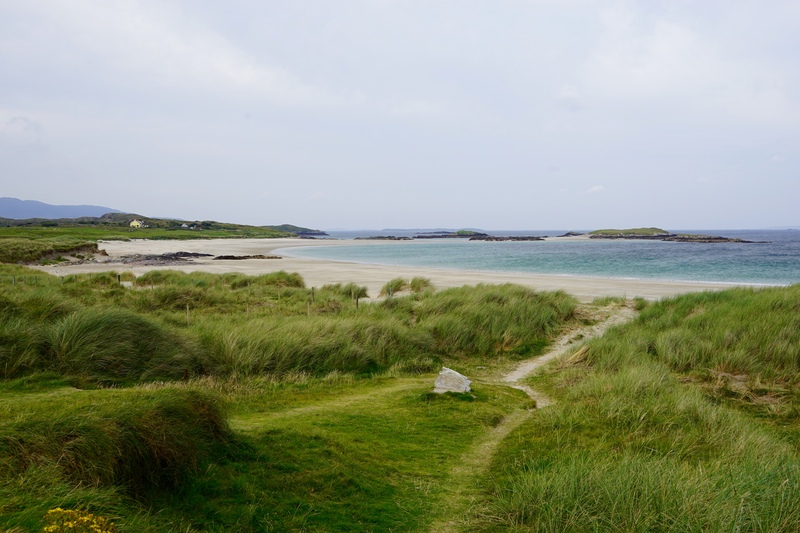 On our way out of Connemara we headed to the beaches where Tristan and Isolde, one of Jess’s favourite movies, was filmed for some waking in the wind. 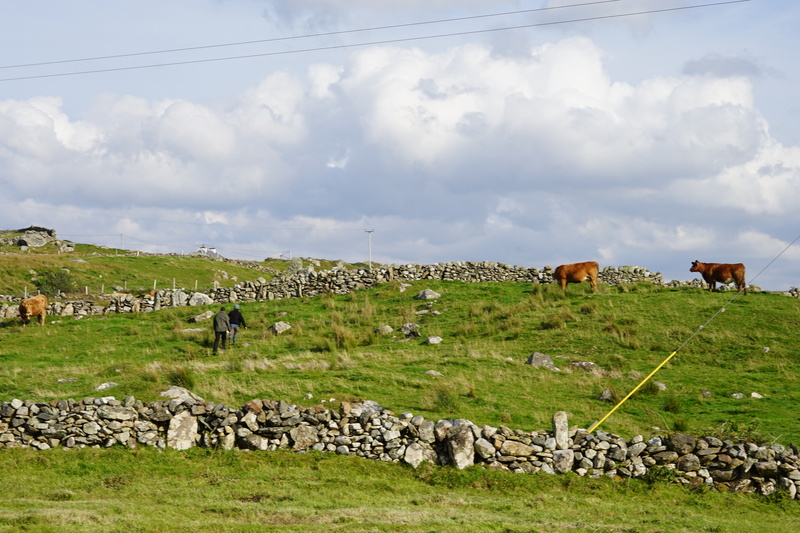 After our spin around the beaches our time in Connemara was at an end and we headed off to Kinvara to begin our tourist trail around the Wild Atlantic Way.